PALATES RULED AND FOODIES WERE UNLEASHED! 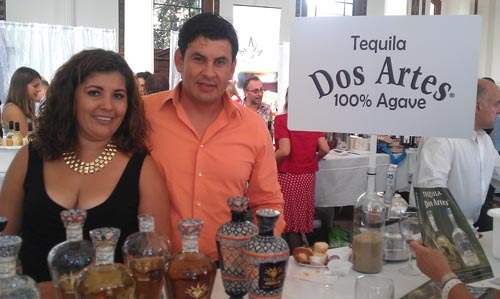 The Vibiana, Los Angeles, California – The sun had barely set on the agavi tequila as foodies and revelers galore took leave of the best attended Los Angeles Epicurean Festival, which took place Sunday, August 26th. 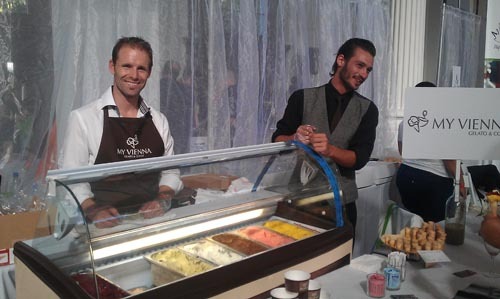 More than 500 food products, accoutrements and multiple exhibitors were presented to trade and public alike during the course of the day, which included the Epicurean Cup, during which mystery ingredients were presented to teams of sommeliers, pastry pros, mixologists and chefs. One hour later, a cocktail, entrée, dessert and wine chosen from among the many delicious selections were presented to the celebrity chefs, headed by Michel Richard, who also celebrated his 50 years as a chef that afternoon. The winning Epicurean Cup team is chef Robert Liberato (BLT Steak), pastry chef Paul Rivera (Wyndham), sommelier Cameron Russell (The London) and mixologist Sarah Saunders (BLT Steak). Co-founders Kora Kroep and Bruno LeClotte, at the pinnacle of their professional expertise, took pride in the informative, relaxed and fun day of testing, tasting, learning and introducing the myriad of participants to people and places.